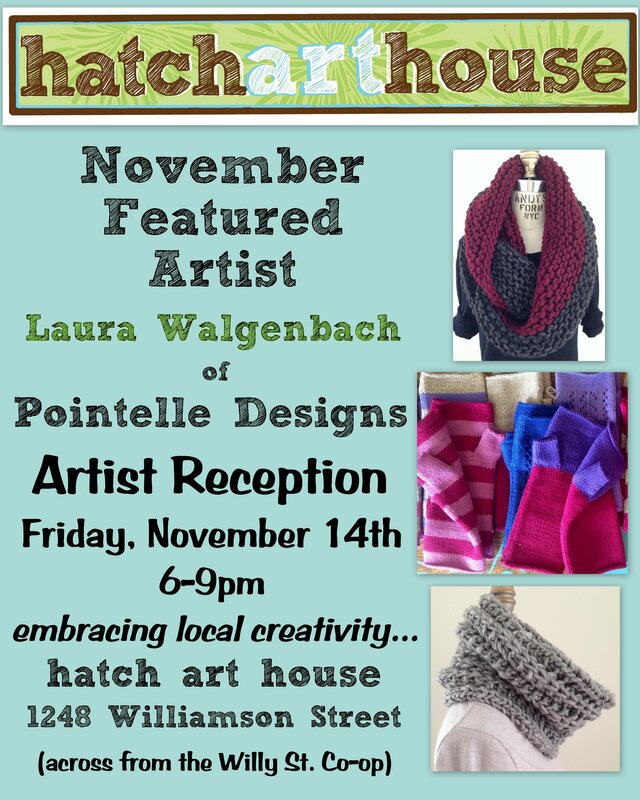 The Hatch Art House featured artist for November is Laura Walgenbach of Pointelle Design. Laura studied at the Fashion Institute of Technology in New York City. She graduated in 2012 with a BFA in Fashion Design with a Knitwear Specialization. As a knitwear student she learned how to knit on industrial and “home” knitting machines. Laura tends toward the classic lines and chunky knits, perfect for Wisconsin winters while using only beautiful, colorful yarns. Laura will be showcasing her knitwear for the month of November with an artist reception Friday, November 14th 6-9pm. Refreshments will be served.